Michael Buble - Haven't Met 你 Yet. . Wallpaper and background images in the Michael Bublé club tagged: bublé michael michael bublé crazy love photoshoot video haven't met you yet. 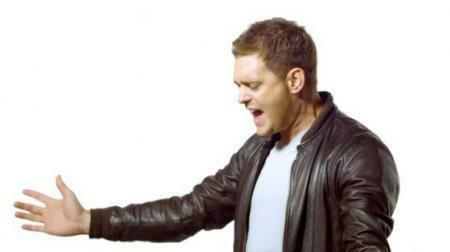 This Michael Bublé photo might contain 精心打扮的人, 西装, 裤套装, 裤装, 穿着好衣服的人, 裤子套装, 穿得好的人, 套装, hip boot, and thigh boot.